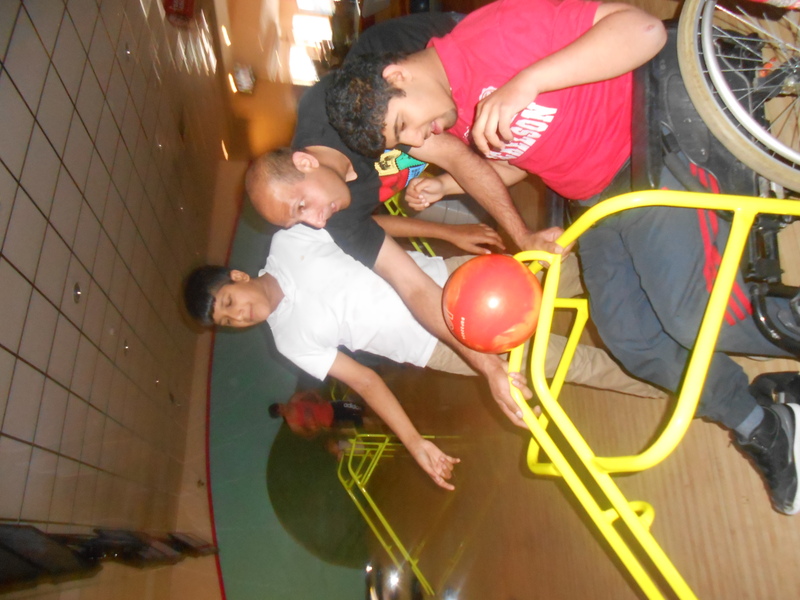 Staff are fully qualified and we have a team of volunteers who support the sessions too. 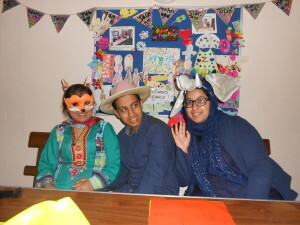 During sessions we provide a variety of activities for the young people like crafts, games, baking, snack, creative stories, role play and dressing up. We tailor the activities to the young people’s interests and likes so we know they will have a great time at Shine Together. 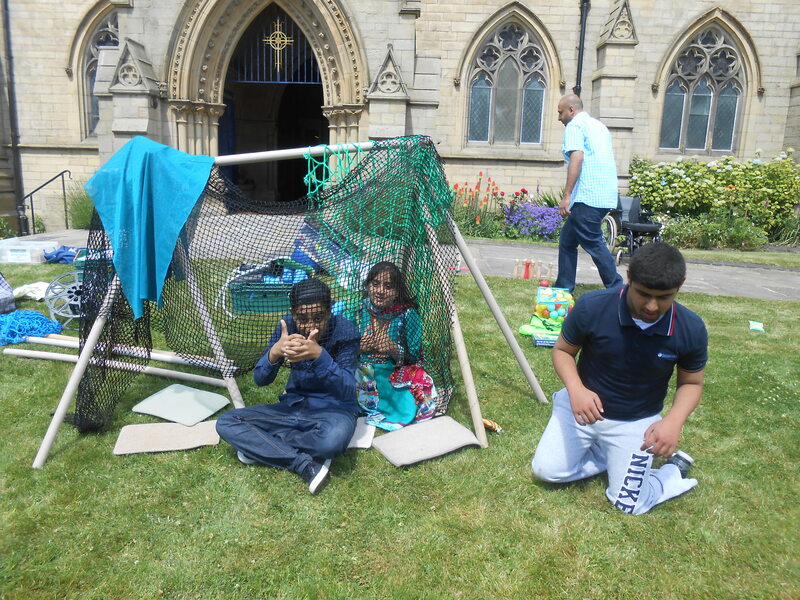 We are currently funded by ‘Short Breaks’ and ‘Youth Work’ funding through Bradford Council as a result of our excellent provision. This means young people can attend the sessions for FREE! (donations towards funds for snack and resources do help though). Visit our Facebook page to see regular updates. Before each young person joins the group we complete a detailed assessment with the parents to ensure that their needs and met and any issues are addressed. Families are always welcome at our sessions too! 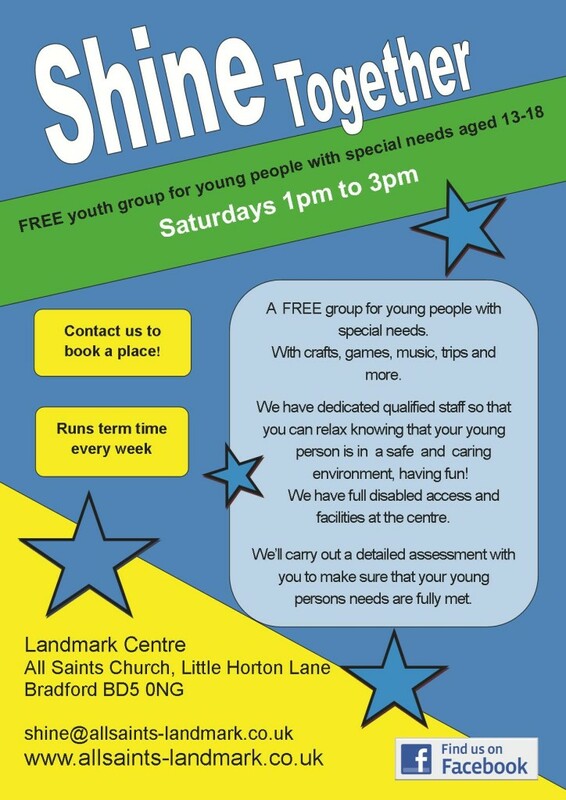 If you are interested in volunteering with Shine Together contact shine@allsaints-landmark.co.uk for more information. I have fun: games, reading; drawing; colouring, eating, helping people, bowling and playing games; colouring tom and Gerry, bowling and football; interacting with others, drawing, playing with Lego and throwing balls. I have tried new things: go-carts, den building; bowling; making dens and tents, making go-carts and riding the, and bird feeders; go-carts racing; Lego and throwing balls. I choose what I do: Playdoh, snakes and ladders; playing snap; colouring, drawing and den building; colouring tom and Gerry; drawing and Lego. Our son is more confident, he has something to look forward to every weekend and gives him a routine. My son likes coming every week so he must be enjoying it, plus it means he is off the computer for a few hours. 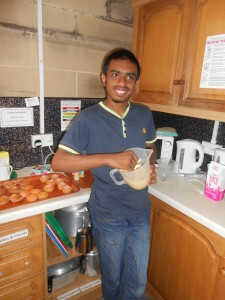 Shine Together has helped Hassan ‘shine’, his confidence has grown and he is abler to deal with new places and new people. 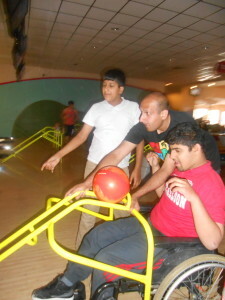 Shine has also given Hassan much needed independence; he enjoys everything at Shine. Fab group! I love my son coming her and everyone is fantastic, Thank You! The team have always been great, we appreciate how we are kept in the loop if there are any changes or event updates, Thank you. 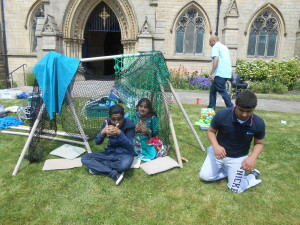 I really enjoy seeing the young people enjoying themselves with everyone. We really value Shine and what’s its done for Hassan, we don’t know what we would do if there was no Shine Together, Hassan has really grown as a person. We attended the Open Day and invited family to come along and they were impressed and have also noticed the positive effect on Hassan. Thank you and keep up the good work. The group has a massively huge impact, gives us a break and helps my son socially which is good for his development.